We're always introducing new products and original new designs. 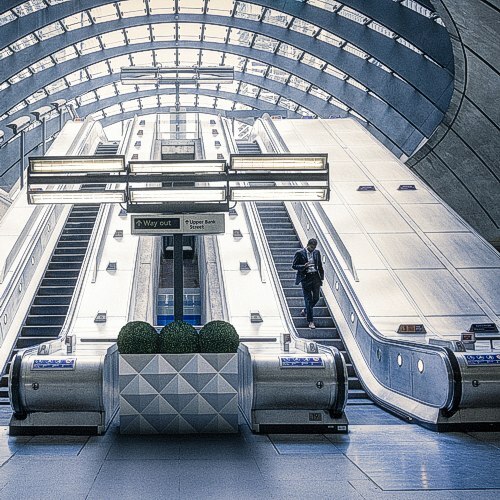 Check this page for all the very latest from Europlanters. 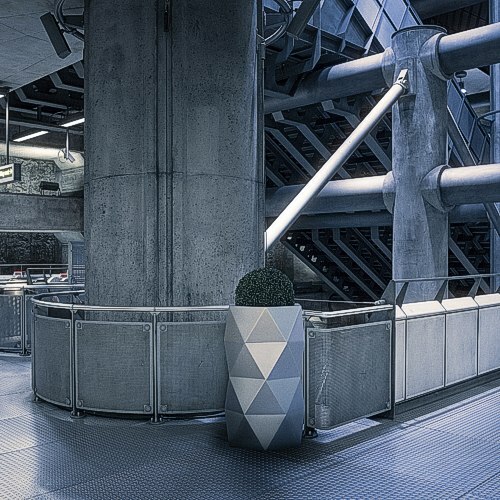 The new cool, trendy Hexus is a cylindrical shaped planter with multi-faceted sides. 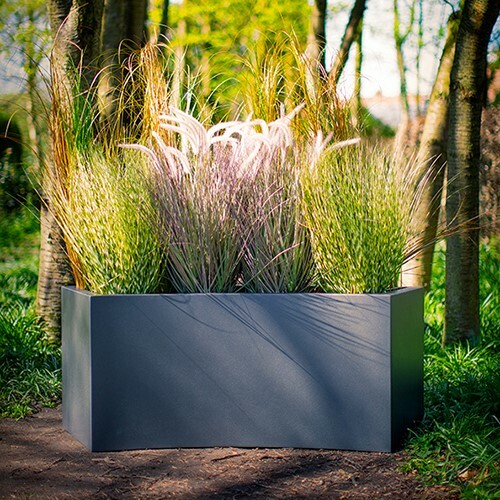 The Curved Trough planter will create a 4 metre circle when multiples are placed together and these look stunning when in a group of different heights. 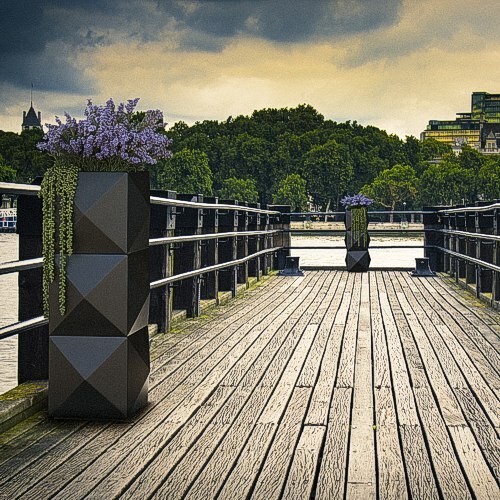 The Hathersage Planter is a new organic shaped planter which looks stunning in a granite effect or black-stone effect finish. The Buckingham Planter is an elegant styled trough. Its curved edges and plinth give it a graceful appearance. The Wall Bowl is perfect in any modern, urban or rustic style space and looks stunning on its own or for that eclectic mix can look fabulous as a cluster on a wall in different colours and finishes. The Milkkan is a country farmhouse style planter designed in the form of a milk churn which comes in three different sized diameters 400mm, 500mm and 600mm. The Chatsworth Planter is a stunning design and can be used in a small garden as a feature pot, as a pair or as a group of three and each will create an impressive display. The Rivet range of planters are handmade to order. The mould was made from rivets from an old ship yard to make them authentic. Perfect for that Marine, industrial or antique look. The beautiful new Bradwell planter measures 700mm diameter x 600mm height. 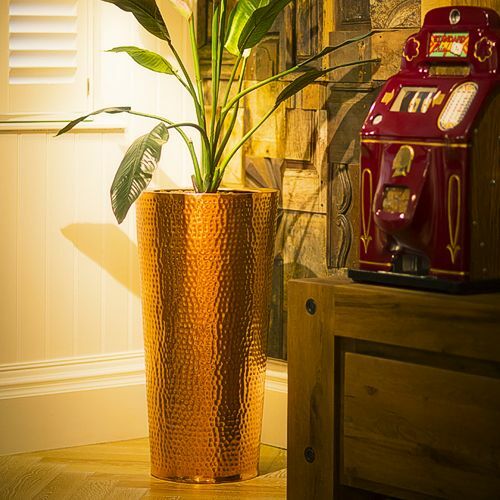 On trend Hammered Copper Conical shaped planters will add a warm hue to any home or office.